If you want to play guitar you have to have a guitar...and the accessories that allow you to play it. If you're searching for these things, then below you'll find an online store that has my highest recommended beginner guitars and accessories for the best playing opportunity possible! Please note that these recommendations are for beginning guitar students who want an acoustic guitar (like I use in the program) and want to keep costs to the minimum and quality at the maximum. So if that's you, let's get started! ACOUSTIC GUITAR - There are two kinds. 1) Acoustic 2) Acoustic-Electric. 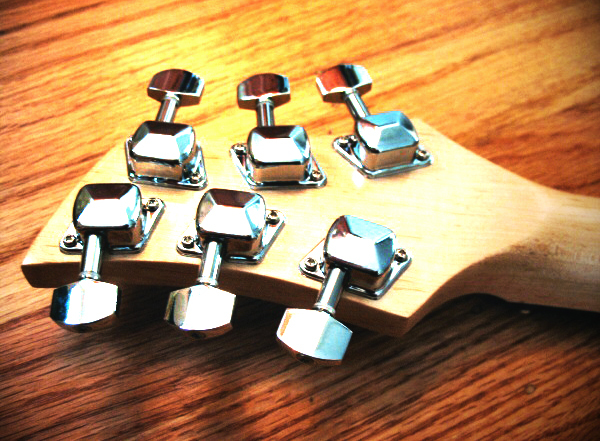 An acoustic-electric is a guitar that has a pickup installed in the guitar. If you see yourself plugging into a sound system in the near future, then I would suggest going with an acoustic-electric. These two kinds are listed in the store below as well as some "Acoustic Bundle Packages," which have an acoustic guitar "bundled" together with other accessories, like a hardshell case, tuner, etc. The two best beginner guitar ($150-$450) brands out there are Yamaha and Washburn. They consistently have great intonation and action--better than any of the countless beginners guitars I've played. Getting either one will serve you very well. That is why they are the only two brands listed in the store. And just FYI, the more expensive the guitar then the nicer the hardware, construction, feel, and tone. But all of them will play great in your hands! GUITAR CASE - there are two major kinds 1) gig bag 2) hardshell case. A gig bag is basically just a layer of fabric that surrounds your guitar, offering some protection from scratches and wear and tear. However, it will not necessarily protect your guitar from having something dropped on it or a heavy object crushing it. A hardshell case is what you normally think of when you think "guitar case." It will keep your guitar from not only getting scratched, but from being majorly damaged or broken thanks to its hard exterior. Make sure to match the body style of your case to the body style of your guitar if you are buying them from the store below--Dreadnaught, Jumbo, or Concert. PICK - for playing rhythm guitar (which is what is taught in The 20 Lessons program) you'll want a thin or medium pick. Dunlop has been a go-to brand of mine for years as they consistently make a high quality pick that feels great and is incredibly durable (I've never had one break, ever!). Go with the orange and red Dunlop Tortex picks or the gray nylon picks that have grip (aka "brain") on them. All are listed in the store below. 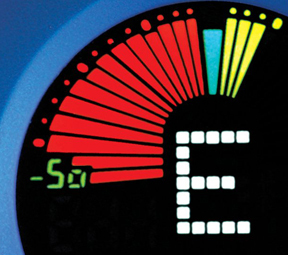 TUNER - there are different kinds of tuners, but the one I would recommend starting off with is a clip-on tuner. My two favorites are both made by Snark. One is larger but allows you to twist it around in every direction making it easier to see and read. The other is small and low profile and has a nice aesthetic quality to it, but it doesn't twist around in every direction. I use the larger one for practicing and the smaller one for on stage use. Either one will work great! They are both listed in the store below. CAPO - I love capos! A capo allows you to change the key of a song on the fly. It also allows you to use CAGED Method, which is an incredible technique that you'll learn about during the program. My favorite capo for everyday use is the classic Kyser Capo. You can pick from a ton of different colors and patterns in the store. GUITAR AND MUSIC STANDS - it may not seem like much, but having a good guitar stand is important! They make home practice much easier by keeping your guitar readily available to pick up at any time (plus they can help present your guitar as a decorative piece for the room), and they hold and protect your guitar while it's on stage during rehearsals or worship services. Also, consider a music stand if you have a dedicated practice space in your house and want to have your chord charts out and ready to play. There's a lot of different options in the store. Now that you're better acquainted with the equipment you need, you can purchase it from the Amazon store below or at a local guitar store. Happy shopping! Many of these guitars have other color options once you click on the link.